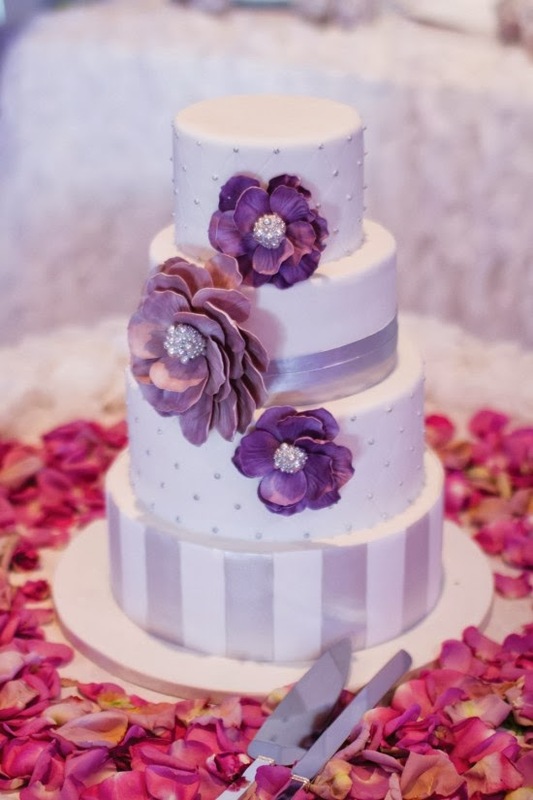 From a deep plum to a light lilac and everything in between, there is a color of purple for your cake on your wedding day. 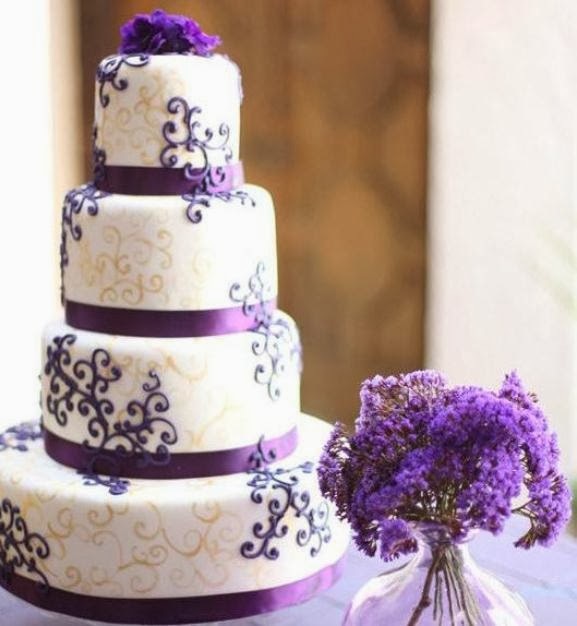 You may not want to go overboard with a completely purple cake, but adding details in lavender or wisteria may be just the touch of purple your cake needs. 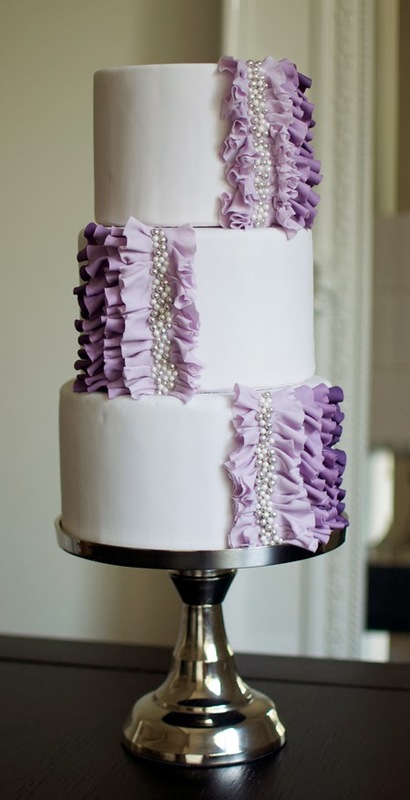 Having one tier frosted in a light purple is a great way to break up the traditional white wedding cake. 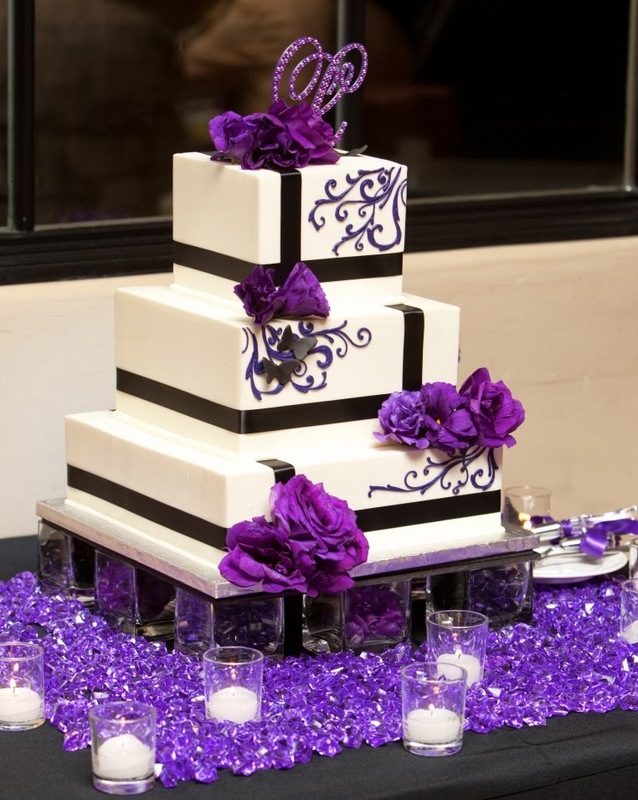 You can complement your purple with swirls or piping in yellow and silver gray. 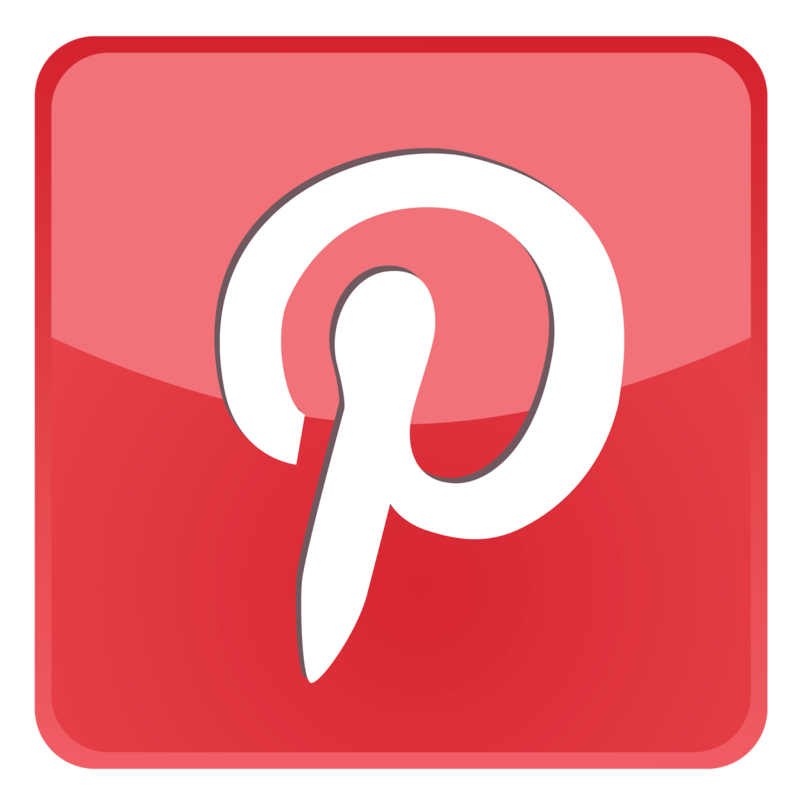 Yellow is purple's complementary color on the color wheel, so the combination of the two will be very striking. 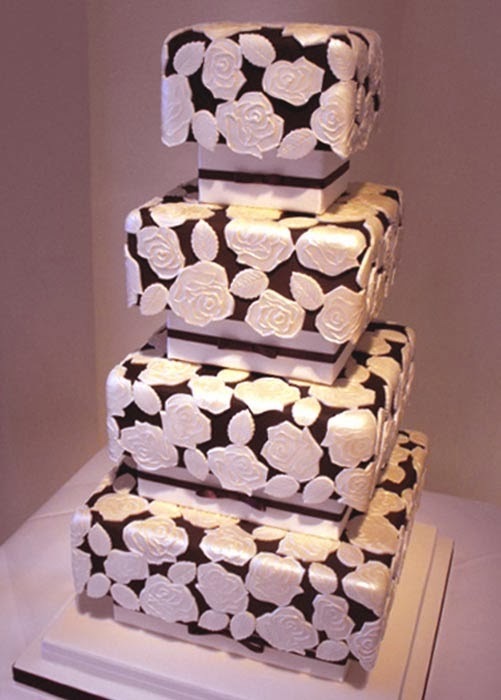 The touch of silver will soften the contrast and make your cake look like a piece of edible art.